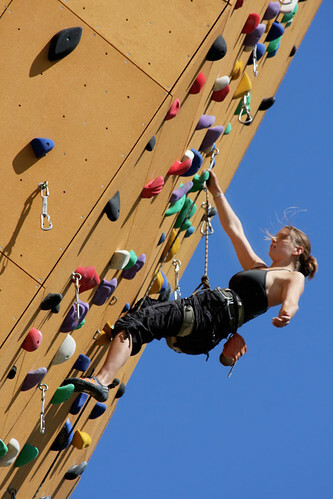 A climbing wall is an artificially constructed wall with grips for hands and feet, used for climbing. 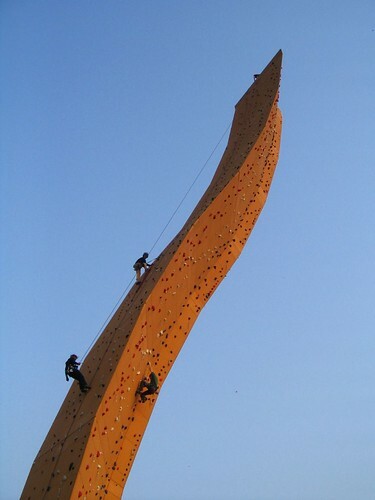 Most of the climbing surfaces are created on the walls of some existing building or even a dam's face. Most modern walls have a thick multiplex board with holes drilled into it. Each hole contains a specially fitted nut to allow modular climbing holds to be screwed on to the wall. (Source: Wikipedia). 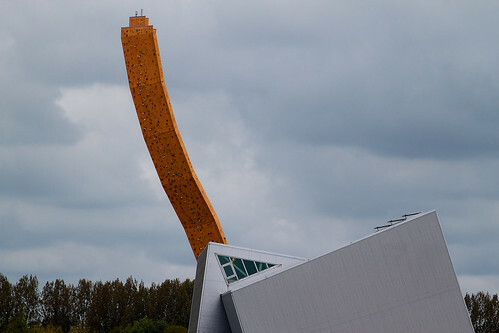 The town of Groningen, The Netherlands boasts of highest free standing climbing wall (actually a tower) in the World. 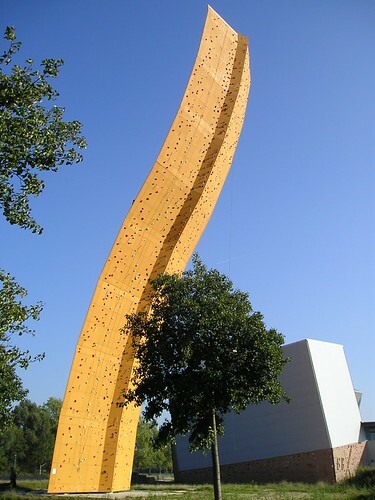 Located at Klimcentrum Bjoeks (Bjoeks Climbing Centre) the curved climbing tower is 37 metres tall and is known as the Excalibur. Besides the Excalibur the Bjoeks climbing centre has a indoor climbing hall and several free-standing boulders dotted around it. Credits: Kite_surfer for his great post in Google Earth Community entitled "the dutch mountains (2)" which brought this place to my knowledge. Thank you Kite. Simply amazing. Thanks for sharing these great pics and info. 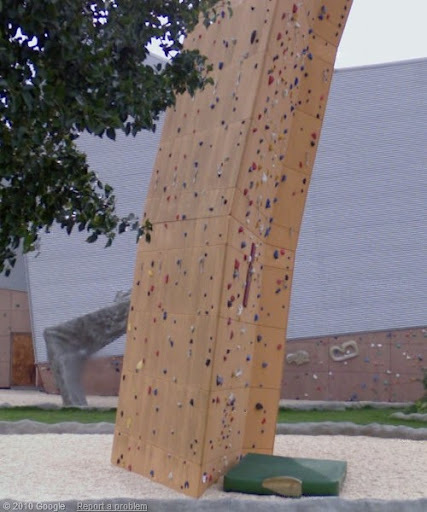 The highest climbing wall I've done was only 50ft...so this is amazing! 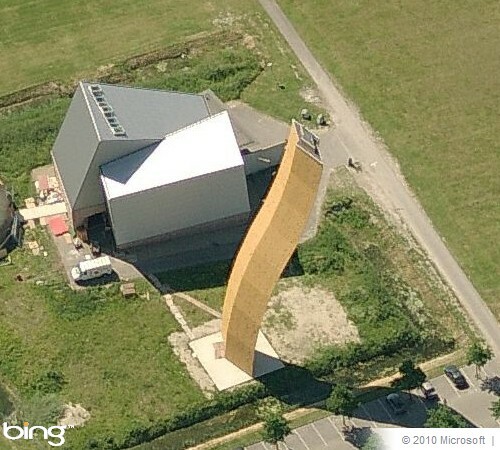 It isn't the highest in the world there in one in France at Vault en velin which is about 10 meters higher at 46 meters it has a special tarpolin to cover it when it rains it's call the "Tour Patrick Berhault"